March in wine country is special for many reasons – we start to see signs of spring, menus start to change with new products coming into season, the rains taper off, the days become warmer and longer, and its Women’s History Month. 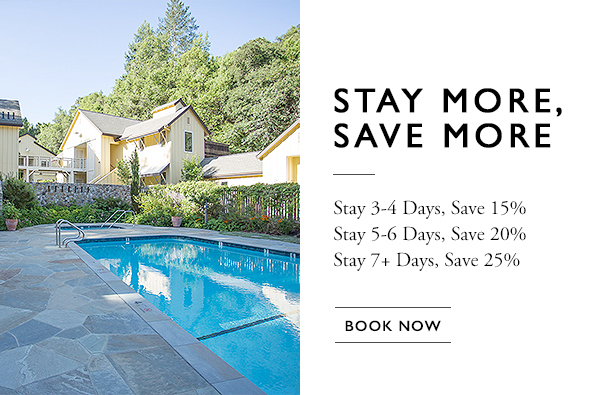 We encourage you to celebrate this month by gathering your favorite women together for a night out, a hike in your favorite Sonoma County park or you can really go for it and plan a wine country escape – if you go for it be prepared to indulge – you deserve it. Spend a few nights in wine country exploring the dining scene, new wineries, the outdoors and enjoy the peace and quiet that comes with spending time with your friends. And gentlemen, we haven’t forgotten about you. Coming soon – our blog about how to have a gents' weekend in wine country.